For nearly thirty years, NACD has helped over 30,000 people of all ages and ability make exceptional strides in their mental and physical development. Helping people with significant neurological issues has given NACD profound insight into how typical and gifted individuals can achieve highly advanced abilities. NACD has a long tradition of actively supporting Homeschooling. They have developed tools to help every Homeschooling parent. Like a program to upgrade your brain’s “RAM,” Simply Smarter™ increases your auditory and visual sequential processing, providing greater access to your innate intelligence. Simply Smarter™ has a simple, fun, easy-to-use format, with automatic record keeping built in. 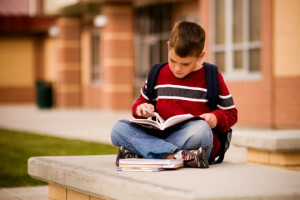 NACD can provide a specific Homeschooling plan for your child as part of a TDI – Targeted Developmental Intervention™. Based on a complete neuro-educational assessment of your child, the NACD can design a program of teaching strategies to help your child make rapid advancement. The program will address your child’s educational needs as well as providing activities to improve your child’s cognitive functioning. NACD provides continuing support through phone conferences, video reviews, and a support staff to answer any and all questions. NACD provides unique services to homeschoolers. With a long tradition in the active support of homeschooling, NACD helps parents make their homeschooling efficient, effective and enjoyable. As a national organization NACD is familiar with the laws in each state. Parents are supported in meeting state requirements, but that is not all that they are given. NACD will design a specific plan for each child. The instruction plan includes not only suggested materials but also how to teach them and even at what speed to teach them. Based on a neuro-educational assessment of your child, the NACD staff is able to customize a program of teaching strategies that will best allow the child to make rapid advancement. Not only does the program address your child’s educational needs, but it also provides activities to improve your child’s cognitive functioning. Parents wanting to use the instructional materials that they already have are given very specific instructional strategies to maximize the benefits of those materials. When a program is written and taught to the parents, the help does not stop there. Parents are provided with continuing support through phone conferences, video reviews, and a support staff standing by to answer any and all questions. Imagine being able to pick up the phone and get professional and personalized help from staff who know your child’s individual needs. Through utilization of strategies and activities designed by NACD uniquely for your child, you will see more rapid academic advancement. The NACD staff fully expects a child to make progress significantly better than the child would be able to make in a school setting. As a parent/teacher, you will receive training by the NACD staff to enable you to have the skills and expertise to ensure your child receives an excellent education. Imagine spending less time while gaining more rapid results! All areas of your child’s function are addressed, and all areas of difficulty are identified and addressed. This is a total program designed to address your child’s total needs. NACD knows how to maximize your teaching time with your child. We’re ready to teach all homeschooling parents a better way to educate each child. What do we expect? We expect success!